According to a report published today, Steve Jobs’ authorized biography Steve Jobs by Walter Isaacson will be launching earlier than planned as its release date has been moved up to October 24th, about a month earlier than the previous date which was November 21st. The news comes from a report by Associated Press – a respected American news agency – which states that Simon & Schuster – publishers of Steve Jobs by Walter Isaacson – have announced today that the book will be releasing on October 24th. 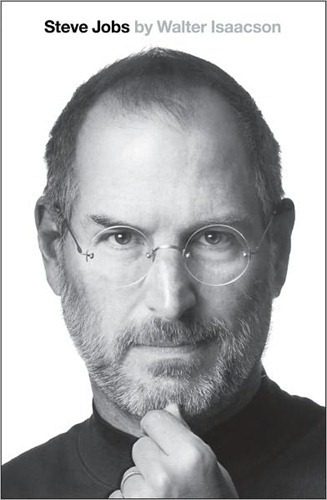 The biography is seeing great interest after Steve Jobs passed away yesterday due to cancer. The biography currently holds the top spot on Amazon and is third on Barnes & Noble. Pre-orders have apparently increased by a whopping 53,555% (at the time of writing). Steve Jobs: A Biography has been written by Walter Isaacson – a prominent journalist who has served positions such as Chairman and CEO, CNN and Managing Director, TIME Magazine. The biography is based on over 40 interviews conducted with Steve Jobs over a period of two years as well as “more than a hundred” interviews with friends and family, rivals and co-workers. As many of you already know, Steve Jobs passed away yesterday. The news came directly from Apple in the form of an email sent out by CEO Tim Cook to team members. We were all shocked here at Redmond Pie. Steve Jobs, like any other human, had to go away some day, but we never expected him to leave us so very early. I myself came across the news early in the morning. It was a horrible, horrible way to start the day and I couldn’t really think straight for ten minutes or so. Still, life has to go on. Apple may not feel the same without Steve Jobs, but we believe his vision and overall influence on his team will ensure that Apple continues to pump out destructively innovative products like the iMac, iPod, iPhone and iPad.